It’s been a roller coaster ride of a season for St. Bonaventure; starting with an injured Jaylen Adams and an embarrassing loss to Niagara, moving to a historic win over Syracuse, followed by some tough road losses, and now a chance to ride into the A-10 Tournament scorching hot — this has been one hell of a season. With everything on the line and few remaining games to prove itself, St. Bonaventure has little room for error down the stretch. The Rhode Island Rams are a lock for the Big Dance, and though Davidson has impressed in league play, it’s tourney champ or bust for the Wildcats. The Bonnies, however, stand in a peculiar position; with 2 regular season games remaining, and with an A-10 Tournament where anything can happen, the fate of the Bonnies’ 2017-18 season could come down to a tough decision by the infamous Selection Committee. Shocker. Though many fans were disheartened by “the snub” 2 seasons ago, this year feels different. While St. Bonaventure still has two uphill battles before the conference tournament, this team is going to go dancing if I had to make a guess. Here’s 3 reasons why St. Bonaventure will find its way into the NCAA Tournament. 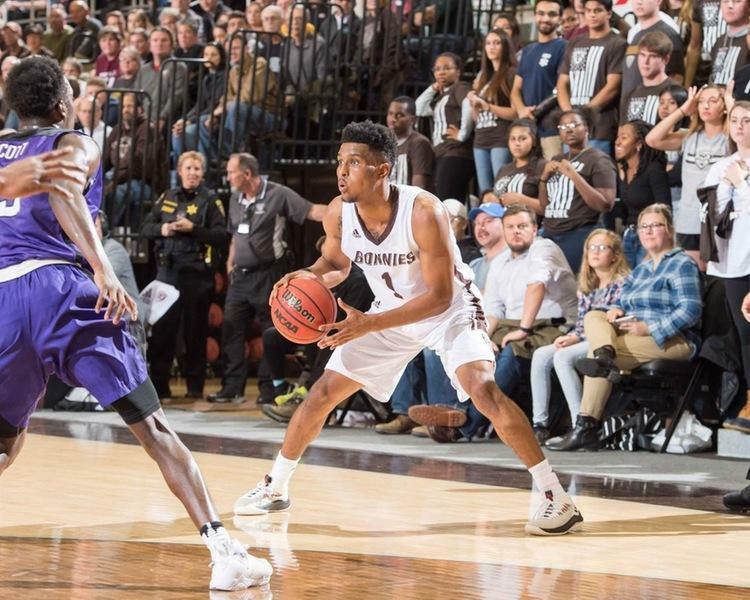 Usually, there are 4 or 5 teams that are capable of winning the Big Dance; this year, anyone could come out of nowhere and be a surprise contender, but realistically, there are 3 teams that should contest for the title: Rhode Island, St. Bonaventure, and Davidson. Should the Bonnies lose a game or two down the stretch and need to earn the automatic bid in D.C., it doesn’t feel too far out of reach. Without the sneaky 4 seed coming up and winning the title as we’ve seen in year’s past (I don’t think SLU/GMU/SJU/VCU will win it all), there’s a better chance the Bonnies will walk away with the win. However, the chance for an at-large is alive and well. Riding into the A-10 Tournament hot is always crucial, and the Bonnies have that going for them. That being said, having to potentially face Davidson and Rhode Island on the road to the auto bid is not easy; surely, if St. Bonaventure wants to take the title in D.C., it will be tested for stamina and outright level of elite play. Luckily for them, Jaylen Adams and co. have been proving those qualities all season long, especially as of late. Yeah, St. Bonaventure did take a share of the Atlantic 10 title back in 2016, but we have to keep in mind the Bonnies’ entire resume both in and out of conference play. Prior to the A-10, the Bonnies failed to pick up a big win and lost a disappointing road game to Siena. Today, St. Bonaventure has Maryland and Syracuse to boast, and a tough loss to Niagara will (hopefully) be considered with less scrutiny given Adams’ absence. But the Selection Committee also tends to favor teams that come into March hot. St. Bonaventure is Exhibit A. Riding a 10 game winning streak, including a win over ranked Rhode Island, has St. Bonaventure moving up the ranks and more or less “in” when looking at Bracketology sites. But the only thing that matters at the end of the season is St. Bonaventure’s resume stacked up against the nation. I think beating a team like Syracuse on the road gives the Bonnies that extra level of national recognition it needs, but who knows if that will be enough. Call me crazy, but maybe St. Bonaventure getting snubbed 2 seasons ago was enough to put the school on the national radar. I mean, not many people outside of New York or the Atlantic 10 had heard of the Bonnies before the 2016 season. Joe Lunardi made it public that St. Bonaventure should have, hands down, been in the tournament 2 years ago, and other college basketball analysts did the same. At the end of the day, we can talk all we want about what the Selection Committee thinks or weighs when it comes tournament time, but we know the Atlantic 10 will not get as much respect as we think it deserves. Based on what the Bonnies have done so far, and assuming they finish the season strong, there should be a spot for this team in the Big Dance. One insane ridiculously hard game against Davidson in the books for Bonaventure, now have to close out the regular season with a win at St. Louis, but riding a 11 game winning streak and being able to beat a good Davidson team in Triple-Overtime (without the services of Adams, Griffin, Stockard, and Idris, for the majority of the Overtimes) should make Bonaventure shine bright in the Committee’s eyes! !